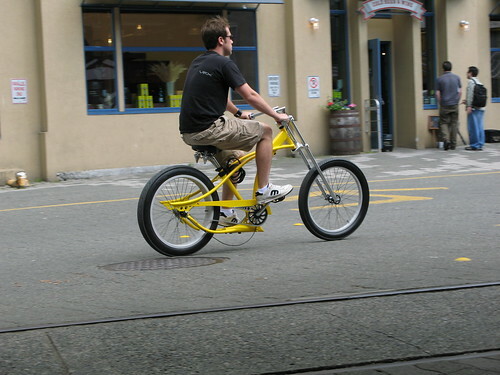 Cycle Chic was featured in a blogpost by Douglas Todd, a columnist for The Vancouver Sun, in Canada. 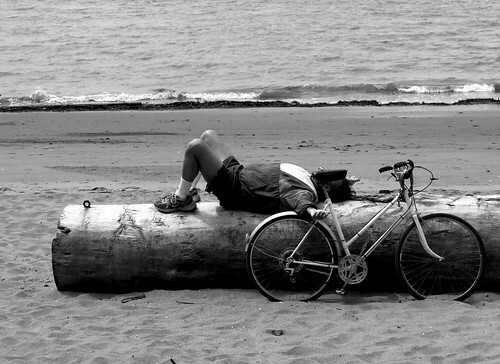 I figured I'd dig out my Cycle Chic [ish] photos from the city. On this trip Wifealiciousness - our own Cycle Chic export - was 6 months pregnant with Lulu-Sophia. Cycling is virtually prescribed for pregnant women in Denmark so going for a ride was a must. I never thought of Denmark as a place to add to my list of countries I MUST visit, but something about reading your blog really makes me want to visit. I'm not a very good biker as I'm asthmatic and American (meaning lazy and unhealthy :D)but I do love the feeling of gliding along along a plain or downhill so effortlessly and working my way uphill so quickly. It does amaze me though that you can find something interesting to say on this singe topic day after day! I would agree with Alaina, Denmark is definitely on the "must visit" list after reading your blog every day. Longtime lurker, firsttime poster. I'm moving to Van from London in a few weeks, so have been working out the cycling scene. Most annoyingly, it's illegal (you get fined $35) not to wear a helmet! How is that ever supposed to encourage anyone, especially the well-coiffed? From your choice of criminals for photos, I presume you agree. 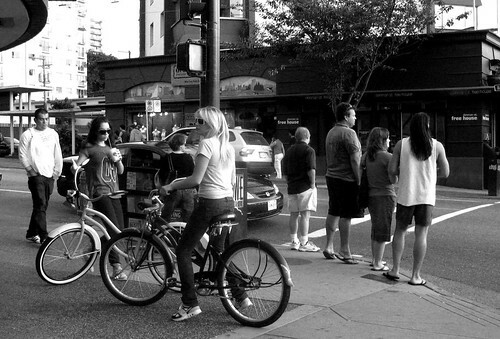 More lanes, fewer helmets please Vancouver! Finally! A post from here! I'm from the 'burbs of Vancouver, but it's nice to see some pics from the Lower Mainland! @Neil The only reason we have a fine like that is because there's been a lot of traffic accidents with cyclists and wearing a helmet is mandatory, so we can save lives. Helmet laws are completely and utterly destructive to cycling. Vancouver is light years behind other cities because of them. For more than myths about helmets you can visit The Bicycle Helmet Research Institute. It seems that the vast majority of cycling accidents involve cyclist error or inappropriate practices. So perhaps Europeans have use better practices that we North Americans. Possibly from having being more cycling and cyclist friendly. So perhaps Europeans use better practices than we North Americans. Possibly from being more cycling and cyclist friendly. I must learn to read what I wrote before I submit. The Bicycle Helmet Research Foundation has information on the effects of the helmet laws in Canada here. Not at all good news. Dutch bike riders in Richmond, replete with ludicrous safety gear. Chic it ain't.